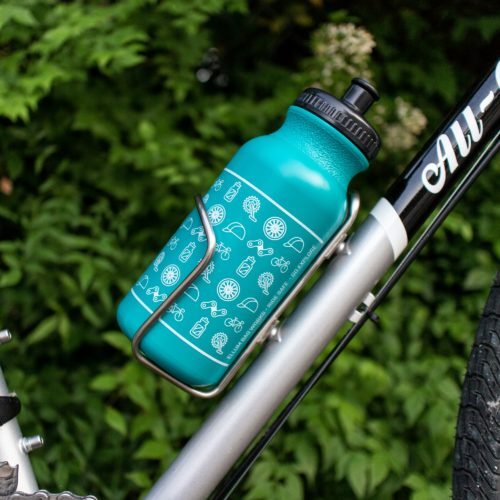 Our Fundamental Bidon comes in a gorgeous Lagoon Blue with the Fundamentals of cycling icons wrap printed in White. 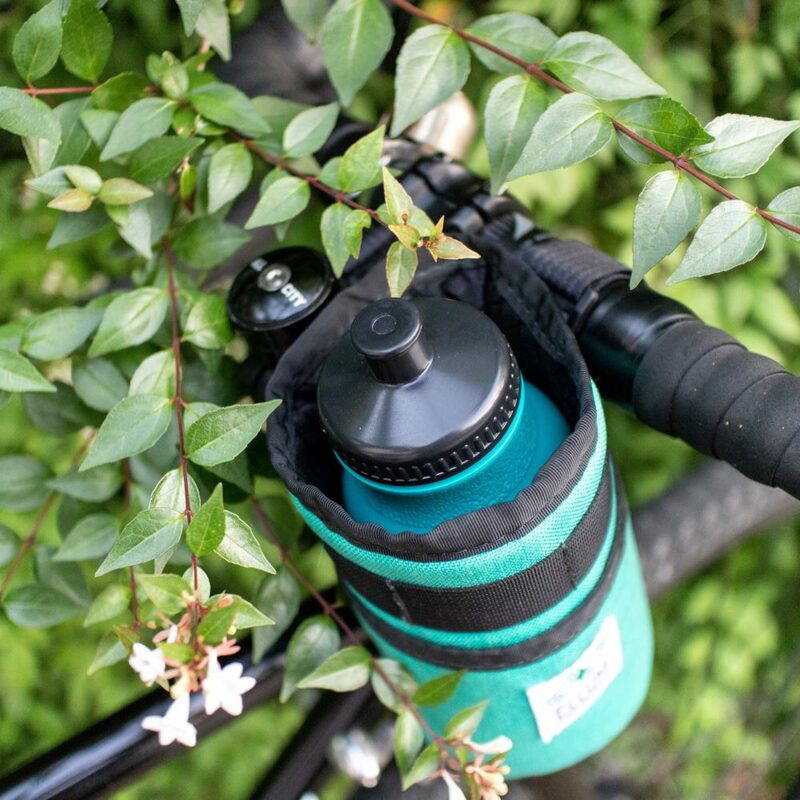 The bidons are the perfect size for our Hitchhiker handlebar bag, it’s like they were made for each other! 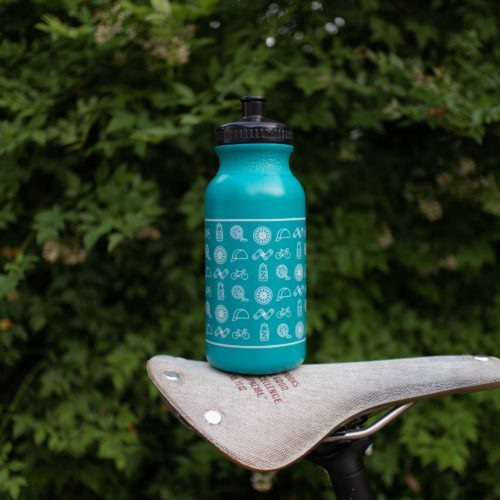 Our Fundamental Bidon comes in a gorgeous Lagoon Blue with the Fundamentals of cycling icons wrap printed in White. 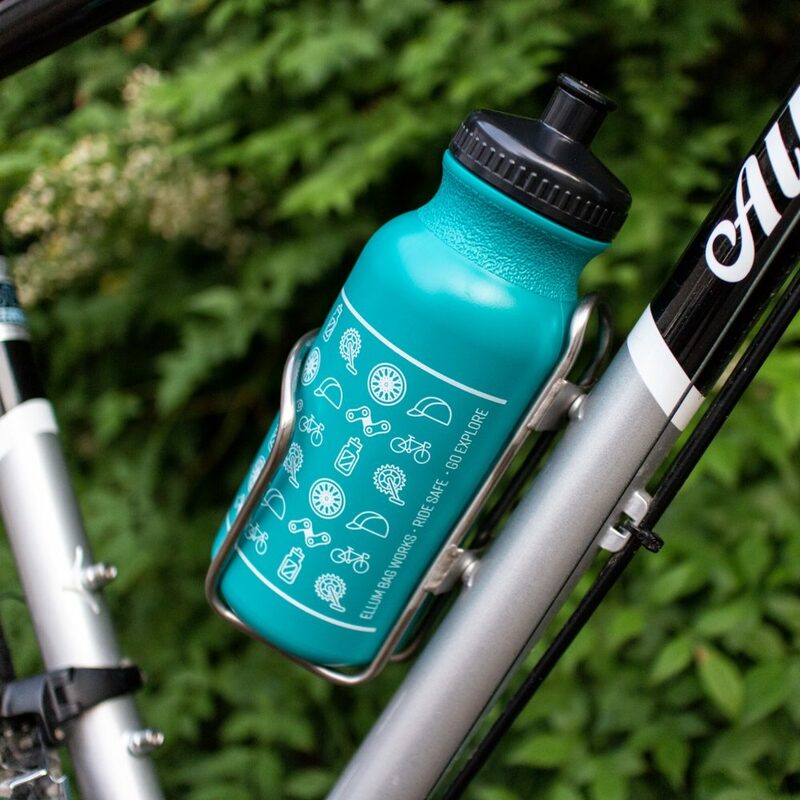 The bidons are the perfect size for our Hitchhiker handlebar bag, it’s like they were made for each other! If you prefer to ride sans bags on the handlebars, the bidons will seat in standard cycling bottle cages without budging to be there when you need to hydrate. 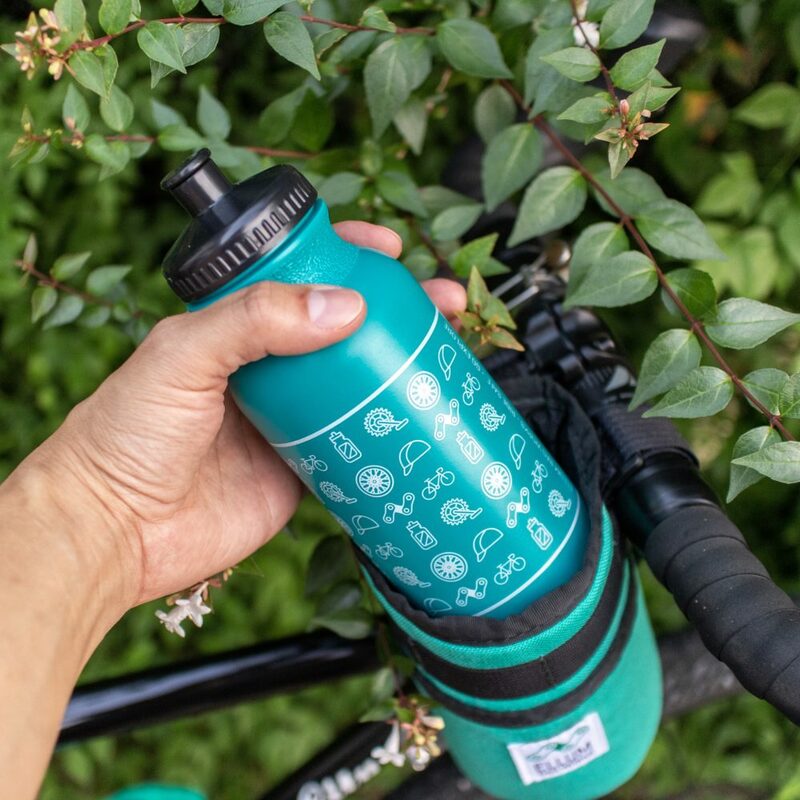 The Fundamental Bidon is made right here in the USA with BPA free HDPE, they’re even top load dishwasher safe for easy cleaning. Once your Bidon does eventually wear out from all that use, they are fully recyclable so they don’t end up in the garbage.